By creating an innovative business model, six Nordic directors hope to (re)gain creative freedom. Six prominent Nordic filmmakers join forces with four producers to develop English-language films for an international market. 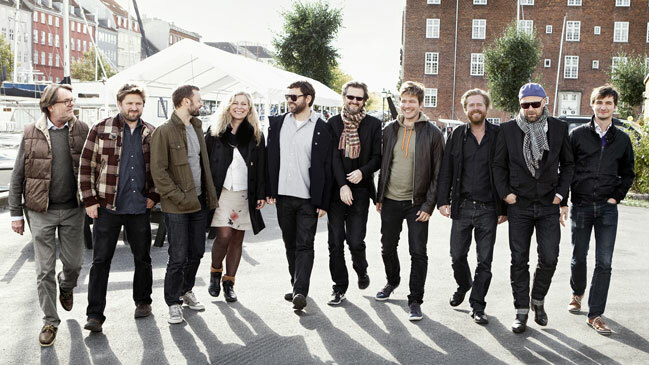 This new artistic co-op named Creative Alliance is launched by directors Thomas Vinterberg (The Celebration, The Hunt), Lone Scherfig (Italian for Beginners, An Education), Ole Christian Madsen (Flame & Citron, Superclásico), Per Fly (The Bench), Janus Metz (Armadillo) and Icelandic director Dagur Kári (The Good Heart, Noi the Albino) along with producers Lars Knudsen and Jay Van Hoy from Parts & Labor International (Beginners) and Danish producers Nikolaj Vibe Michelsen and Jacob Jørgensen. The directors have founded the co-op out of a desire to develop original, personal stories in a creative community where they can discuss each other’s projects and gain individual strength. The new forum gives them a chance to try out new ways of filmmaking in which the director plays a more critical role. Creative Alliance will serve as a development company for each director to develop and direct films in English for the international market. The company aims to combine the best from Scandinavian film traditions with the strength and scale of the US film industry. Financially, this means applying for public development funding in Denmark and then selling the complete idea to producers in the US, where Scandinavian films are currently in high demand. Creative Alliance has already secured the funding for the initial six projects and will subsequently continue to produce films of all budgets levels.